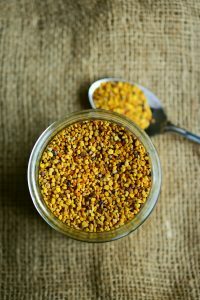 Bee pollen is a rich source of protein and vitamin B12. It is one of nature’s completely nourishing foods and contains almost all the nutrients we need, although not all its properties are known. It may be used effectively for improving endurance and vitality, convalescence, reducing cravings, addictions and infections, building blood levels and overcoming developmental problems in children.